Tonight, we witnessed Emerson using her incredibly monkey skills to climb up the outside of her crib. 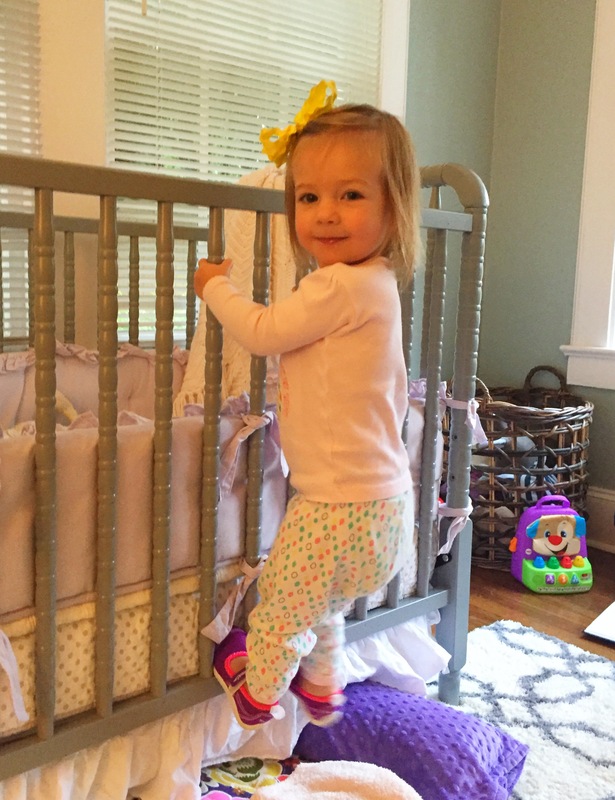 A long stretched left leg in the air, hands firmly grasped on the bars of her baby-jail crib, and the pull up to perfect standing position. I gave it a 10. Also a dreadful sigh, as we now know why she has a serious bruise on the bottom of her chin. She thinks she’s Queen Kong.